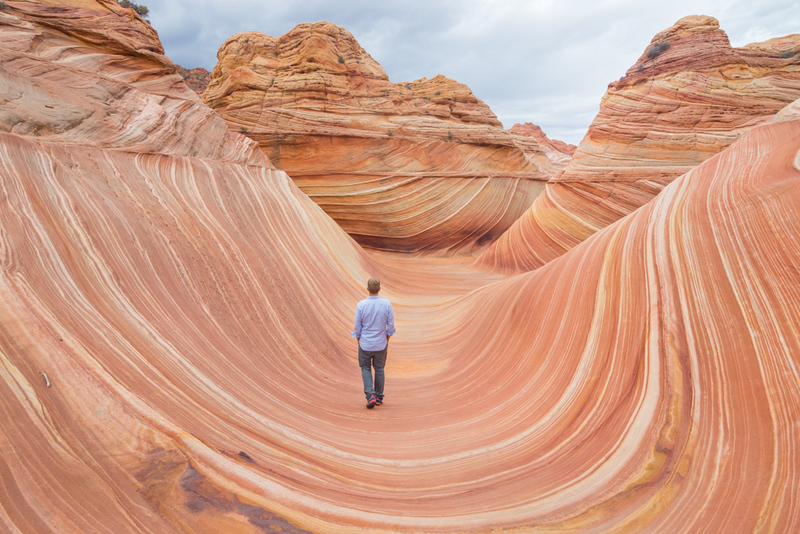 So, you’ve secured one of only 20 coveted daily permits to visit The Wave, hooray! But you’re probably thinking “what do I do now?” It’s time to start thinking about what to pack for your upcoming hiking adventure and a once in a lifetime experience! Your adventure will begin with a 3-mile trek on incredibly uneven and rocky terrain. The trail is poorly marked and GPS is difficult to follow. The friendly BLM ranger will provide you with a photo map to help you get there but even so, many people (including us) get lost trying to find it. You’ll need to pack in all of your food and water and may encounter extreme weather conditions. It’s a lot to prepare for but luckily we’ve created a comprehensive packing list that will ensure you’re ready for anything! The hike to The Wave begins at the Wire Pass trailhead which is where you’ll park your car and sign the trail register. The trail head is about 47 miles from the closest town of Kanab, Utah and it will take you about an hour to drive there. It’s all smooth sailing until you turn off of US 89 to House Rock Valley Road where you’ll have an 8.3 mile drive to Wire Pass. The conditions of the House Rock Valley Road depend on the recent weather conditions. If it is raining this dirt road will become slick and muddy. If it has recently rained and someone drove through the mud you’ll find deep ruts running down the narrow road. If this is the case you will most certainly want to be in a high clearance vehicle with 4-wheel drive (or at least all-wheel drive). Check with the BLM office in Kanab regarding road conditions prior to heading out. The trail begins in the wash right near the Wire Pass Parking Lot. If you were to continue down the wash you would hit Buckskin Gulch (which is another hike we would highly recommend) but you’ll take a right about 1/2 mile down. This is the only spot along the trail that is well signed, although it’s easy to miss in the dark so if you start your hike early be sure keep an eye on the right side of the wash. There is no real “trail” for much of the hike out to The Wave. Most of the time you’ll be walking over the rough sandstone that is so prevalent in this area of the country. Occasionally you’ll see footprints in the sand but following those will only get you more lost. Stick to the photo map that was provided by the BLM office and your GPS. Temperatures near Kanab, Utah can range from below freezing in the winter months to close to 100°F in the summer months. And the weather can change drastically throughout the day. Mornings and evenings can be quite cold while midday can be sweltering. Be sure to dress in layers so you’ll be warm enough when you begin your hike and can strip off clothing as the sun intensifies. If you try for a permit through the in-person lottery system (we finally secured a permit after 6 tries, read about our crazy adventure here!) you’ll get to meet the BLM ranger who organizes the drawings. Every day he gives a big spiel about how dangerous it is. Apparently people have fallen off cliffs when hiking at night, they’ve gotten severely lost, and have failed to bring enough water to stay hydrated. And yes, people have most certainly been hurt while hiking to The Wave. While The Wave is just one small rock formation, the area surrounding it is massive. It is a sea of orange and white swirling rock and everything starts to look the same after a while. If you don’t know where you’re going and don’t have GPS it is very likely that you will get lost. And there are no amenities here so in the event that you do get lost you will not have access to any food or water. And there is little shade so you will be exposed to the elements. Throw a whistle in your pack, just in case. There are two port-o-potties at the Wire Pass parking lot. There are no toilets whatsoever in the Coyote Buttes. Make sure you use the restroom before starting out on your hike and try your best to practice leave-no-trace hiking while you’re in the Buttes. In case of emergencies take a plastic trowel and a roll of toilet paper with you and pack out your trash. You will receive one hiking permit per group as well as a permit for the dash of your vehicle. 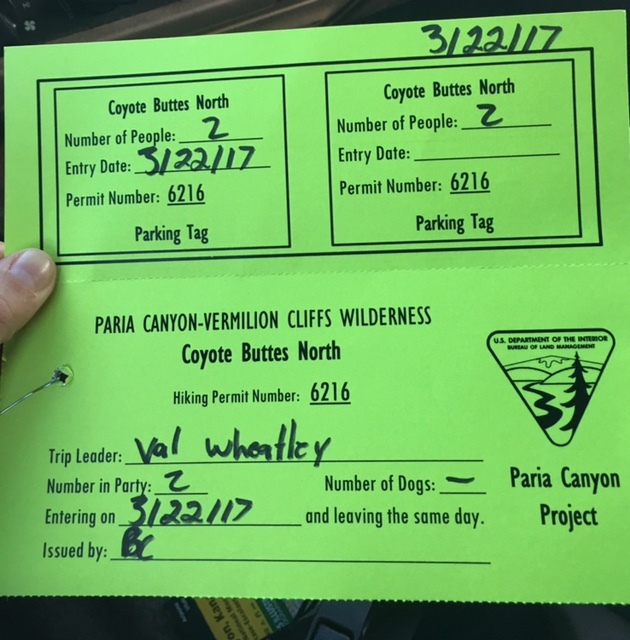 The permits are brightly colored and meant to be attached to one person’s backpack so it can be clearly visible. If you get caught without a permit the fines are steep. At least one BLM ranger makes the hike out to The Wave daily to check for anyone sneaking in. If you are caught hiking in the Coyote Buttes North area without a permit they will take down your information and turn it over to the local police department to determine your punishment. The closer you are to The Wave when you’re caught, the greater the fine. We have heard that hiking to the Wave without a permit can result in a fine as high as $10,000! 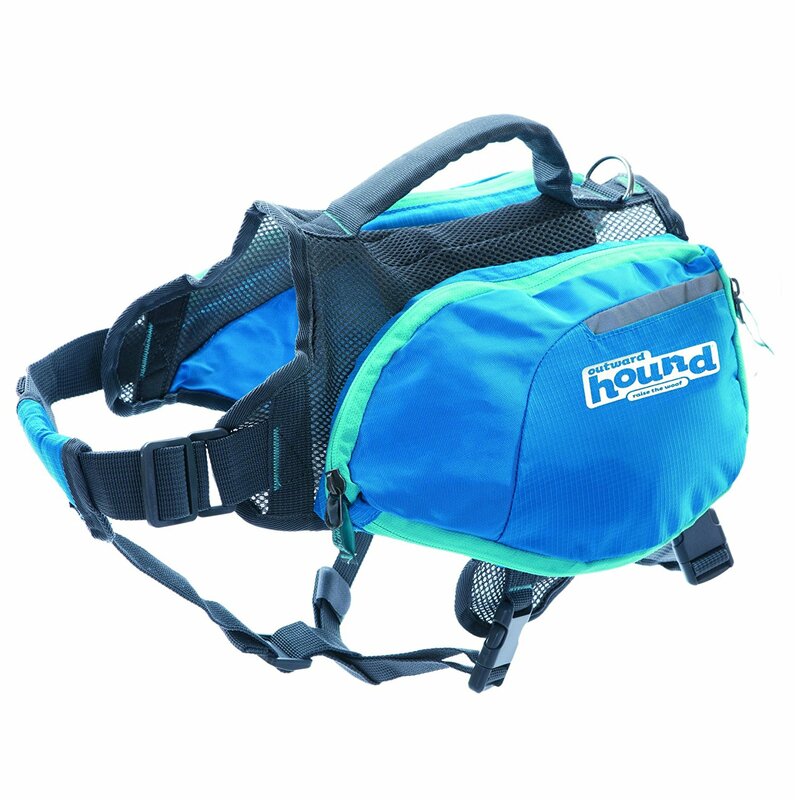 You’ll need to carry a backpack on your hike to The Wave to hold your snacks, water, camera, and other goodies. 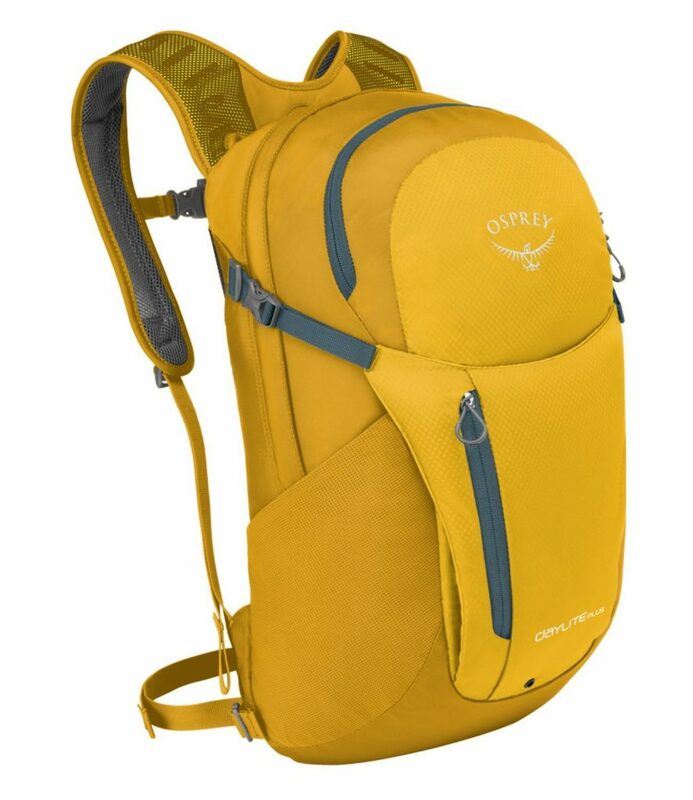 We always trust Osprey packs above all others as they are high quality and super durable but also reasonably priced. The Daylite Plus Daypack has one large main compartment as well as mesh side pockets and a front panel “shove-it” pocket, perfect for stashing a rain jacket. The back panel is covered in mesh to keep your back ventilated. There is nowhere to get water in the Coyote Buttes North area or at the Wire Pass Parking Lot. And none of the campgrounds in the area have water. You’ll need to bring all the water you’ll need for your hike (and for several days if you decide to camp) from the closest town of Kanab. Fill up a 7-gallon container when in Kanab and then use that to fill several smaller, lightweight water bottles to bring with you on your hike. While our normal go-to water bottle is a Hydro Flask, they are on the heavier side. 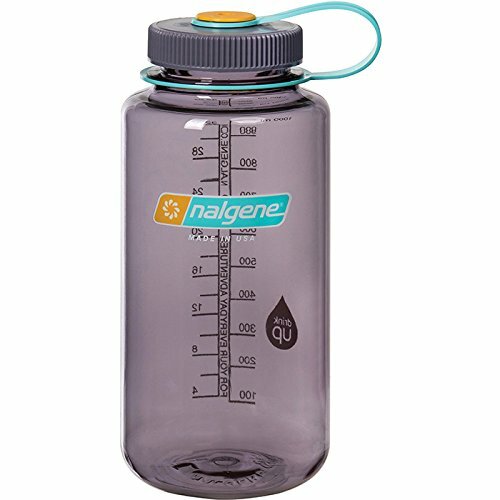 Nalgene bottles are good for longer hikes as they are super lightweight and can be hung from the straps of your pack. Bring at least 2-3 liters of water per person on your hike. 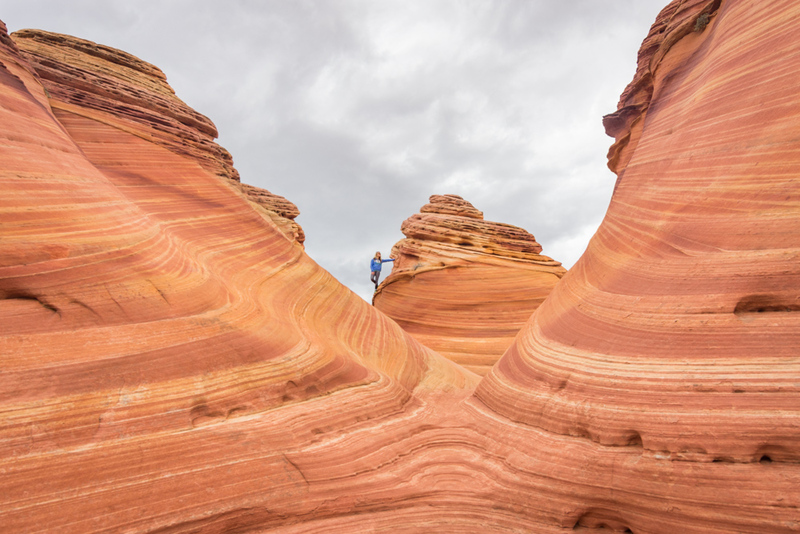 As you’ll be spending several hours wandering around the Buttes, you’ll want to make sure to pack a lunch as well as lightweight, calorie-dense snacks to keep you fueled up during your big adventure. Here are a few of our favorite day hike staples! You’ll be hiking over rocky, rough terrain for at least 6 miles (and that’s if you go directly to The Wave and back again). So you’ll want to pack shoes that are sturdy and that have a little ankle support. You’ll also want to ensure that your boots of choice have ample traction as the rock can be slick and you’ll need a good grip. The KEEN Women’s Targhee II Mid WP Hiking Boot is lightweight, waterproof, and has unbeatable traction. The mid-cut height will provide stability to your ankles but without constricting your movements. Salomon is the brand of men’s shoes that we trust over all others as they are comfortable, breathable, and have impeccable water resistance. The Men’s X Ultra Mid 2 GTX Multifunctional Hiking Boot provides solid ankle support and optimized traction but remain incredibly lightweight. As previously mentioned, the entire Coyote Buttes North area is extremely rocky and uneven. You’ll be climbing up and down hills and bluffs so if you have any concerns about your ability to balance you should be sure to invest in a pair of trekking poles. This pair by BAFX offers comfortable grips and padded wrist straps as well as anti-shock springs to keep your joints from getting jilted. 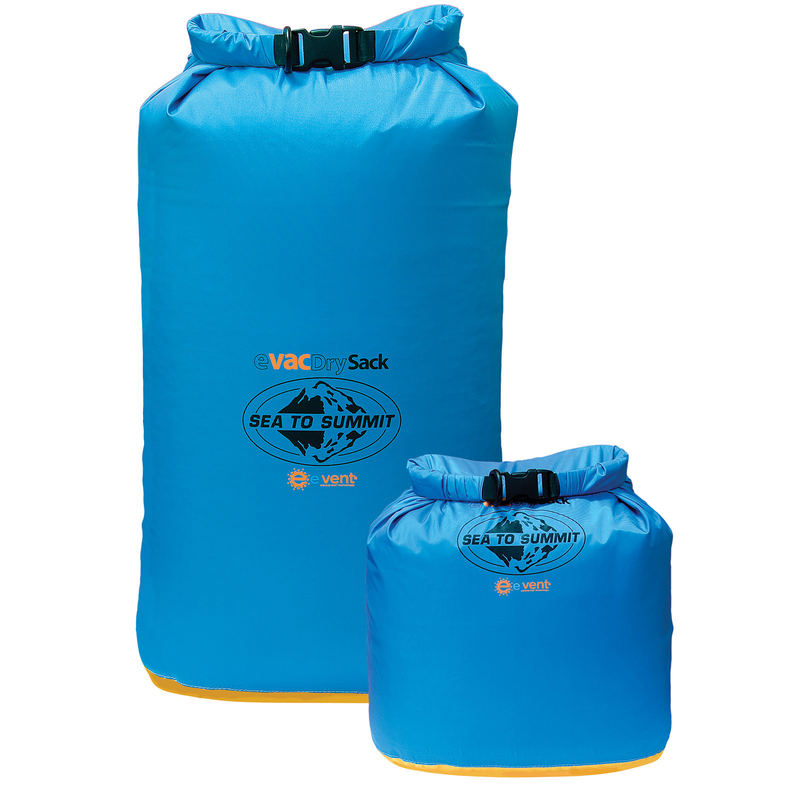 They are also super lightweight to keep your arms from getting exhausted during your hike. Make sure you keep the rubber tips on so you don’t damage the fragile sandstone formations in the area! Check the weather prior to your hiking date to see what temperatures you’ll encounter and also whether to plan for rain. The Kanab area gets about 15 inches of rain per year on average which will likely affect your drive to the trail head more than your hike. The Wave is actually quite lovely when a puddle of water pools in the center and creates beautiful reflections. Be sure to pack a waterproof jacket as well as a dry bag to keep all of your camera gear dry. Regardless of the time of year that you visit The Wave you should be prepared in case temperatures drop. In the desert areas of Utah and Arizona temperatures often soar above 90°F during the day and then drop below 40°F after the sun sets. This Mountain Hardwear Down Hooded Jacket is incredibly warm but also so compact that it can pack down into it’s own pocket. 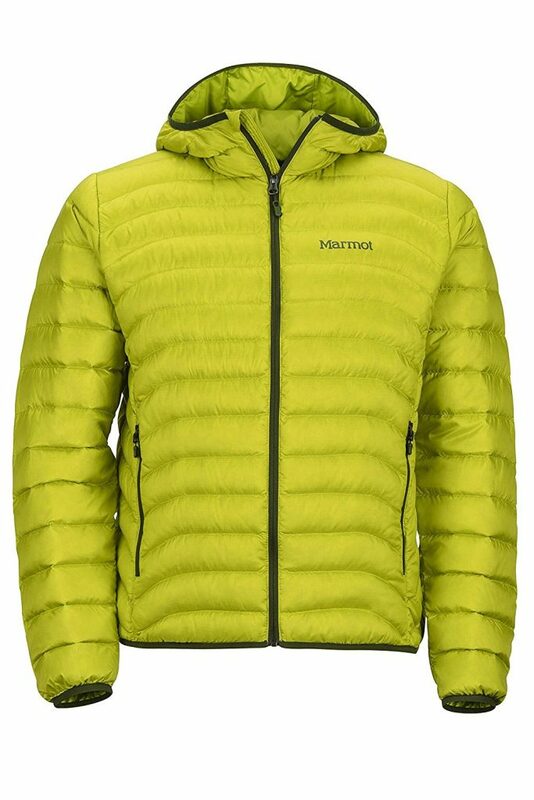 This Marmot Tullus Hoody Men’s Winter Puffer Jacket is super lightweight and packs down really small so it won’t take up too much room in your pack. 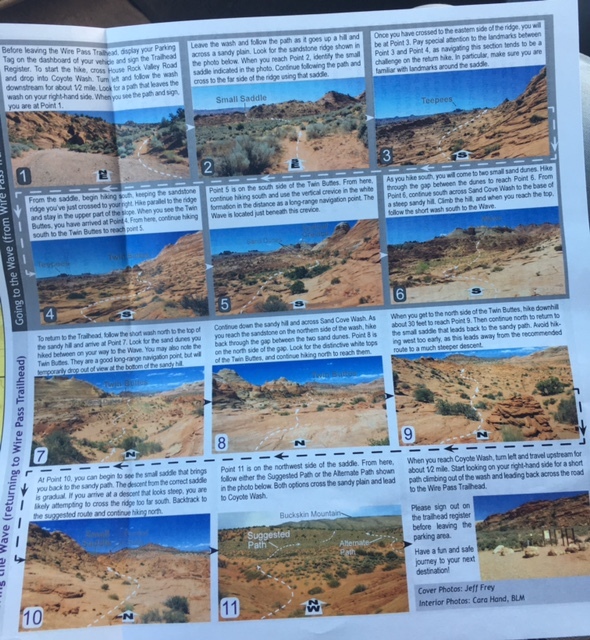 If you are planning to begin your hike before sunrise (as we did), your photo map that was provided by the BLM office in Kanab will prove to be useless. We started our hike at 5:00am and ended up adding about a mile and a half to our journey there because we got so turned around. It is absolutely imperative to have lights if you plan on beginning your hike early but it’s also a good idea to have headlamps in your pack in case you get lost on your way back. 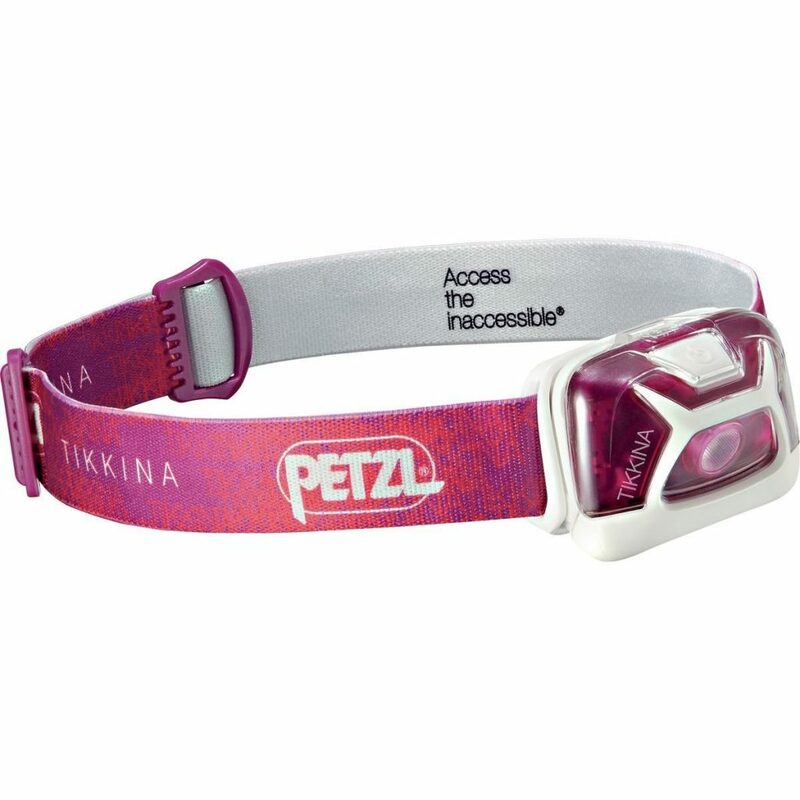 This Petzl Tikkina headlamp is super small and lightweight but is bright enough to light the path ahead of you. Don’t forget to pack extra batteries, just in case. If you plan on hiking early or staying at The Wave until late in the day, you should also plan on bringing a large flashlight to see far into the distance. 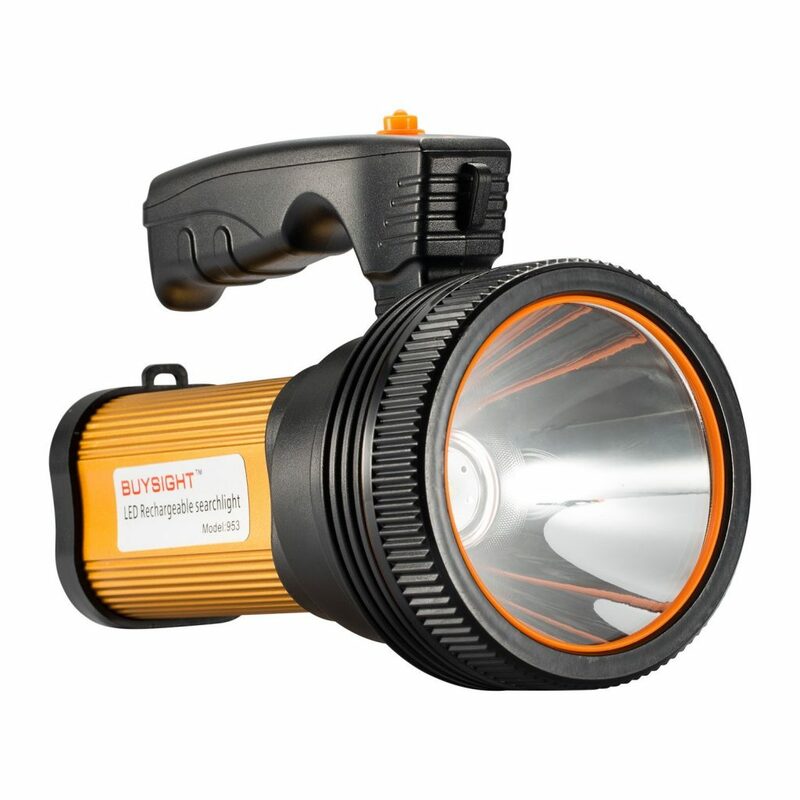 Choose a model that offers a long distance range of illumination and a rechargeable battery like this one by Buysight. Because there is no defined trail and very few trail markers, the BLM office does provide hikers with a photographic map to help you find your way to The Wave. 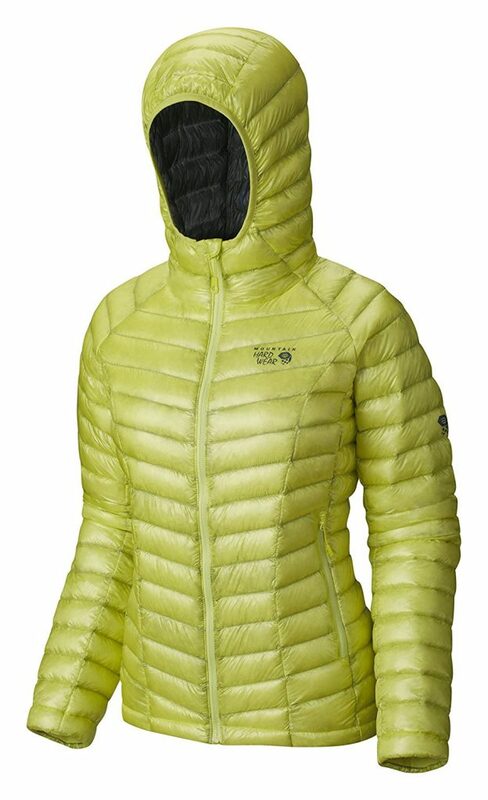 It is incredibly helpful but only if you hike during daylight hours. The photographic map provided by the BLM office is great for getting you to The Wave and back again. 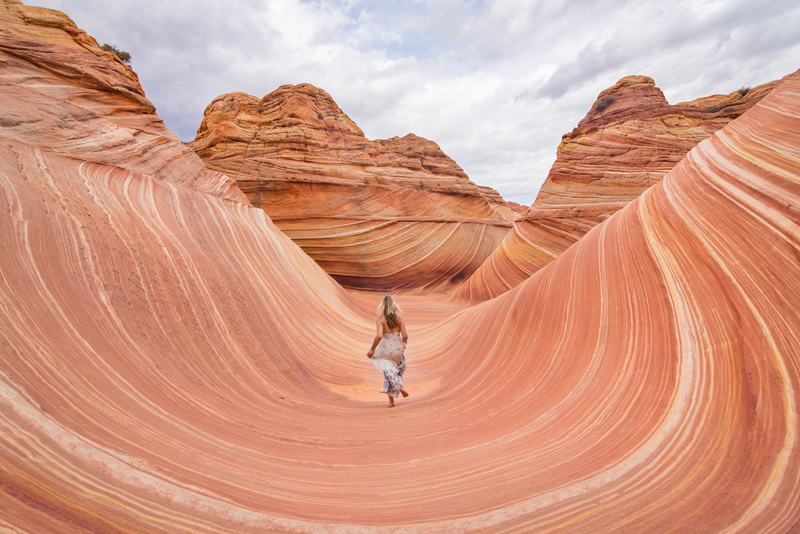 But now that you have a permit for Coyote Buttes North we recommend taking time to explore the entire area. 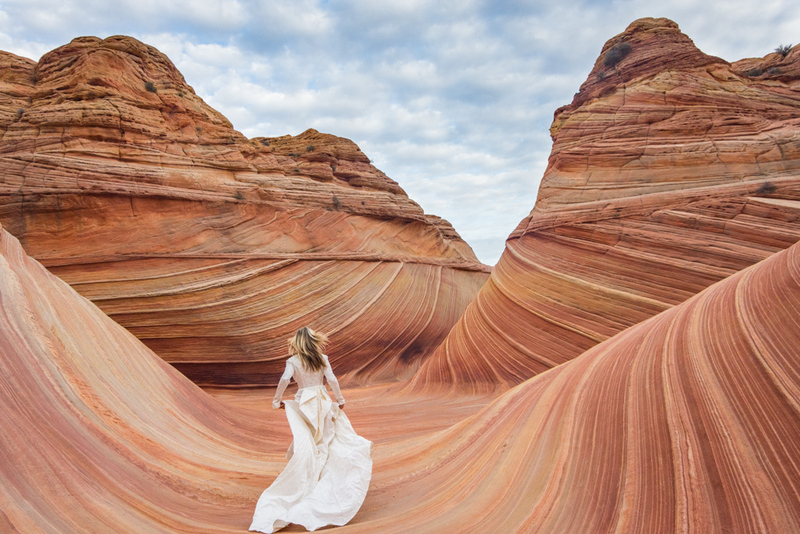 You’ll find beautiful orange and white swirling rock formations all over this stunning piece of protected land and a topographic map will help you find your way home once you’re done wandering. It will also be super helpful if you plan on visiting Buckskin Gulch, Coyote Buttes South, or White Pocket (which you should!). 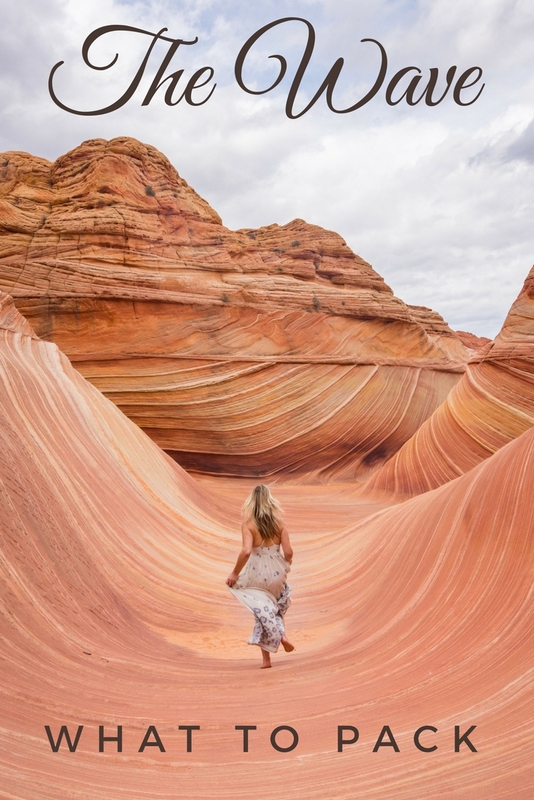 Unfortunately Google Maps hasn’t perfected it’s map of the Coyote Buttes North area so even though you’ll have the GPS coordinates for The Wave, counting on your phone alone may not be enough. Especially if you plan on beginning your hike while it’s still dark. 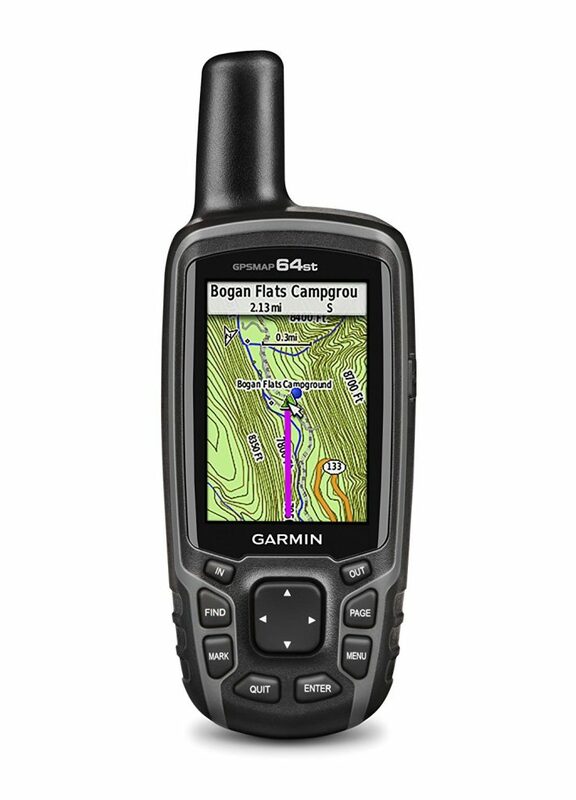 This model by Garmin has a large screen that is easy to read in the sunlight, a high-sensitivity GPS and GLONASS receiver, 8 GB of internal memory, and preloaded TOPO US maps. You’re about to visit one of the most picturesque places in the entire United States so you’ll want to bring your full arsenal of camera gear. Check out our Photography Packing List for our recommendations of lightweight, compact, and quality photography equipment. If you’re planning on using a tripod make sure it has rubber feet so you don’t scratch the sandstone formations. Can you bring your dog to The Wave? You bet you can! You’ll just need to pay a small fee ($7) for a permit for your 4-legged friend. However as we mentioned, you’ll be hiking a minimum of 6 miles but more likely closer to 10 which can be a lot for a dog (and a person!). Make sure you bring plenty of food and water for your pup. 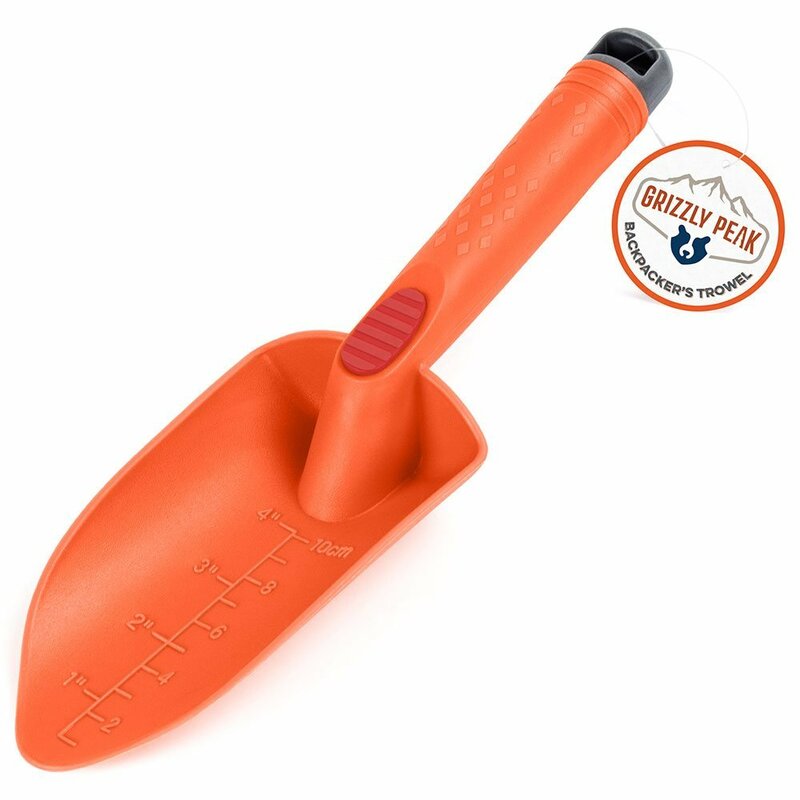 You may want to invest in a collapsible water dish so you’re not wasting precious water out in the hot desert. 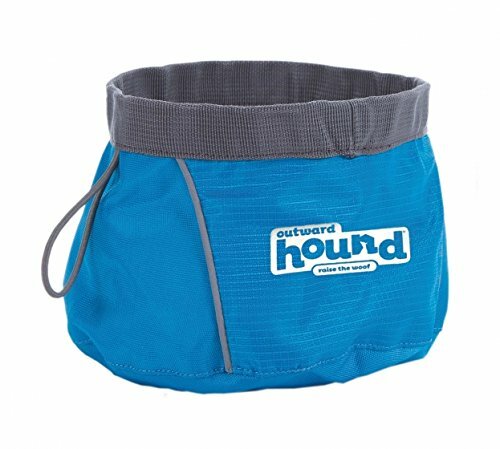 And load them up with their own supplies in a dog backpack to keep your own pack light! And most importantly bring your adventurous spirit! This is a once in a lifetime opportunity so enjoy it to the fullest!